Our Most Popluar Template Pack. 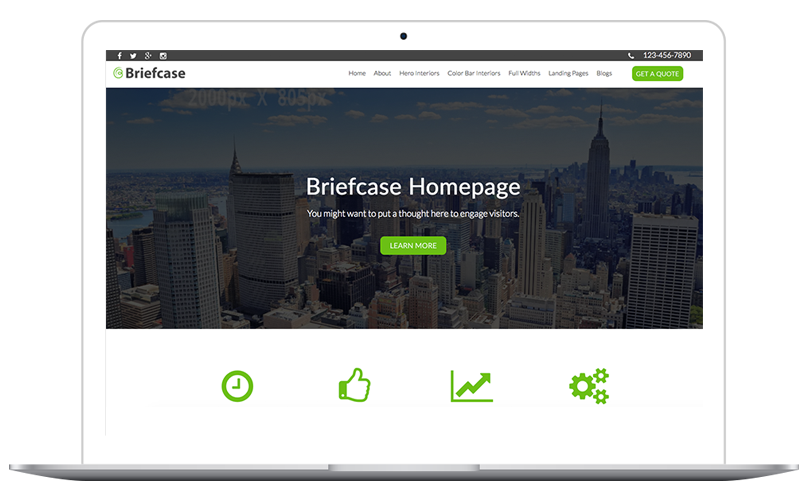 See examples below of how people have customized the Briefcase template pack! Our color picker feature makes it easier than ever to change your new site's styles to match your brand's look and feel! If you need help getting set up, we have a full service development team available to offer help and support as needed. We pride ourselves on having code that's clean and easy to work with. You shouldn't feel like a hostage to your website. We want you to be able to easily update and make chnages to your site as needed! The pack has over 50 template layouts. We did that so you could avoid coding, by picking and choosing your layout. Even advanced users who can code find this a great time saver. 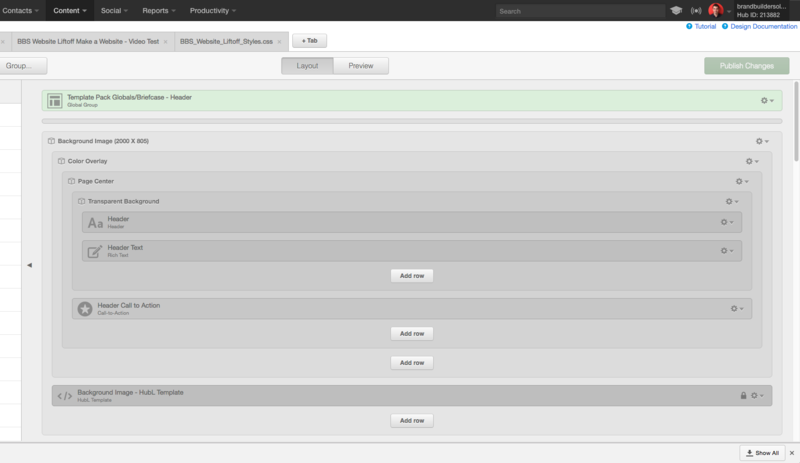 If you have a custom layout in mind that you can't find in the pack, our team of developers would be happy to help you! With clean code, variety of layouts, and easy customization capabilities, our templates help you get your job done faster and easier. Our goal is to provide you with what you need on time and on budget. We respect your budget and timeline so having expectations set ahead of time are necessary. When you buy the the template you get a team. We have worked with many clients supporting them with our services beyond the template. This could be creating custom pages, on going hired development or taking the template and working with you to launching your redesigned site. We are flexible. If we know more about you and what you are trying to do, we will give present options and recommendations on getting the best outcome and the best return. Getting started with customization is easy, but if you are new to the HubSpot COS you may need a little assistance. To help you out, we offer a library of tutorial videos, a COS eBook, and a COS Blog that can help to answer a lot of the basic questions. If you still need help, let us know! Our templates are set up in a way that are very easy to work with. No coding is required for basic customization. If you are looking to customize the template layouts, our team would be happy to help. Our development and strategic teams focus on making great websites and we've got a lot of options for you! Do I get help when I buy it? When you buy the full pack, we offer FREE Custom Setup! This includes customization to match your brand styles and setting up global headers and footers. When you buy a template, you also get a team. We have worked with many clients supporting them with our services beyond the template. This could be creating custom pages, ongoing hired development or taking the template and working with you to launching your redesigned site! 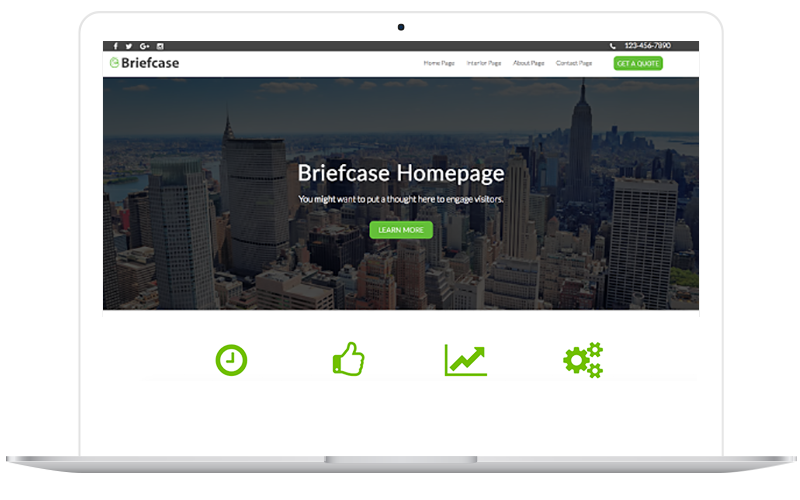 Book a time so our team can show you some live sites that are using this template. This pack can be easily customizable to match your brand colors. See customization options here. When you purchase a template you get a team. We are here to fully support you from start to launch of your new site. Start at $995 with our full template bundle. our 4 Full Template Packs (50+ pages) offer you more.